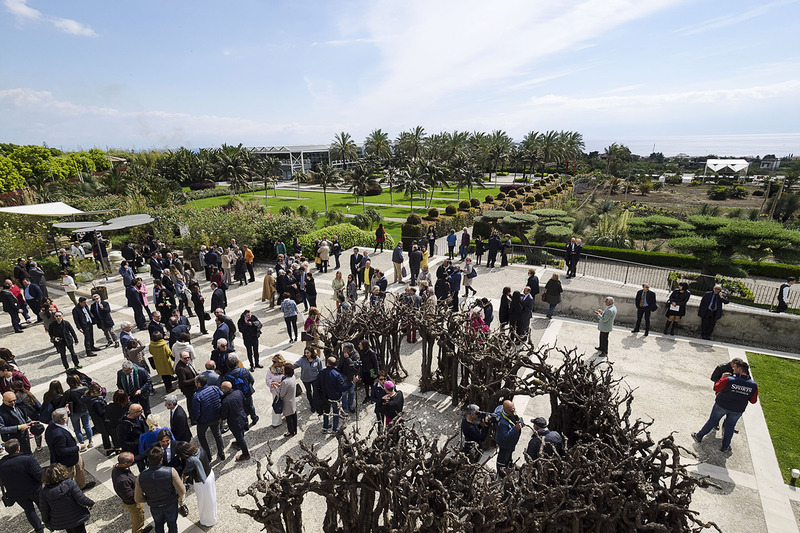 The festival is the first international event dedicated to Mediterranean landscape, and involves leading landscapers, artists and architects, young designers, scholars, institutions and enterprises. The theme for the 2019 edition introduces a current very relevant topic: productive gardens. A garden that knows how to creatively conjugate, in the third millennium, the ancestral need for utility with the new aesthetic needs of contemporary society and, at the same time, not neglecting man’s quest for the garden as an intimate place in which to find himself and regenerate. Golden and swaying, since forever a symbol of wealth and prosperity, wheat spikes of seven different ancient Sicilian varieties symbolize the seven colours of the rainbow. This garden expresses the value of a colour: carmine red. ‘Carmine Catcher’ celebrates the natural production of the colour obtained through extraction from the dried body of the carmine cochineal (Dactylopius coccus), which feeds exclusively on the pads of prickly pear on which it is bred. "Come back to Ithaca" is the journey back home, to be accomplished through a physical and mental path. Through the archetypal model of inclusion, the garden protects and preserves an intimate secret that will be revealed only to the most daring traveller. 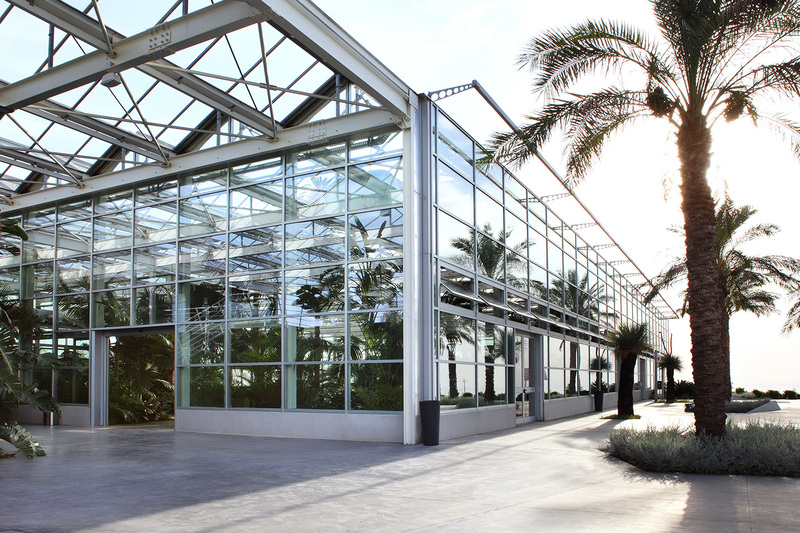 "Il Giardino della Signora" celebrates the concept of soil in the Sicilian environment. 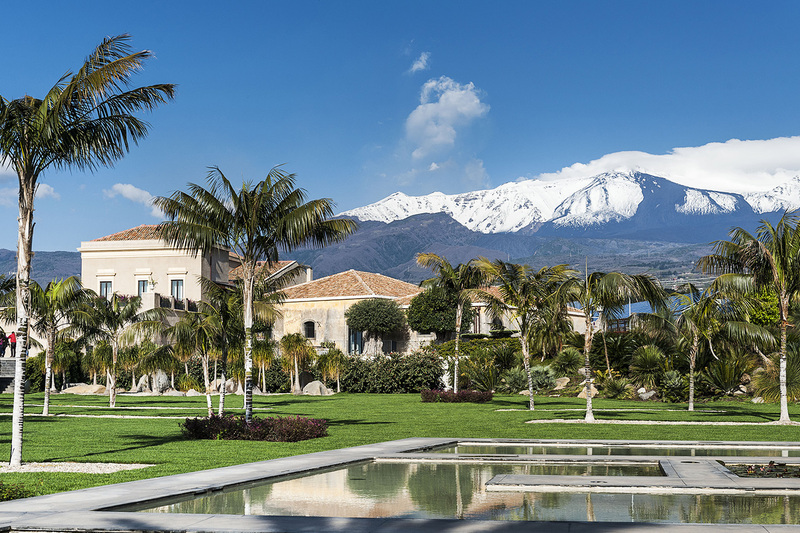 In this island territory Mount Etna is a strong marker of the landscape. Visible from every street, every house, every terrace, the burnt land reminds everyone of the versatility of the volcano that dominates them. Through agriculture, we started to separate ourselves from nature. We stopped leaving our fate to the natural order of things and began to change its organization. Agriculture came from the need to survive, to better our conditions. Where it was not possible to directly draw on water resources, man was able to capture water from the air. These three micro gardens recall three such techniques. Is our way of celebrating the exceptional capacity that plants have to adapt to our world: unlike men, plants have always proved highly resilient and capable of optimal use of resources. This garden is a long path to meditate, a walk, thanks to which it is possible to admire the Mediterranean productive landscape. In this case it is a vineyard, where wine has been produced and transformed by man in the last centuries. Il This garden was created with the two meanings of the concept of Essence in mind: the first, and most obvious, is the substance extracted from a plant; the second, is that deep human feeling of awareness of one's own existence. "Layers" is a reflection on the dependence of man upon the natural world to provide food, water and shelter; the fundamental necessities of life. Inspired by the anatomy of plants the curvaceous walls are reminiscent of scattered flowered petals or the fleshy storage scales of an onion bulb that erupts into life when conditions are right. The garden produces the gardener who inhabits it, caresses it, smells it, collects its exotic fruits. 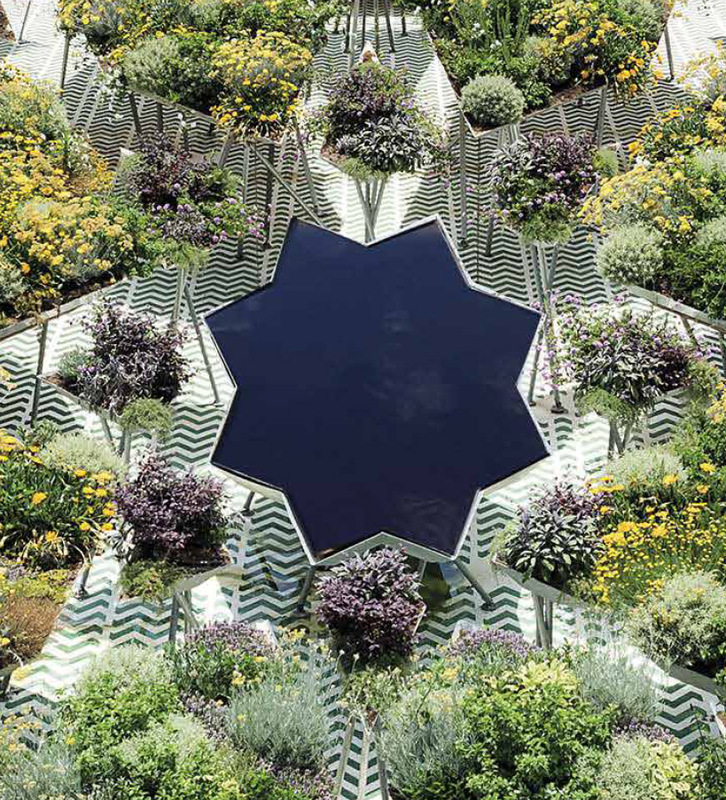 "Home ground" is a garden that can shape and take the shape of plants. 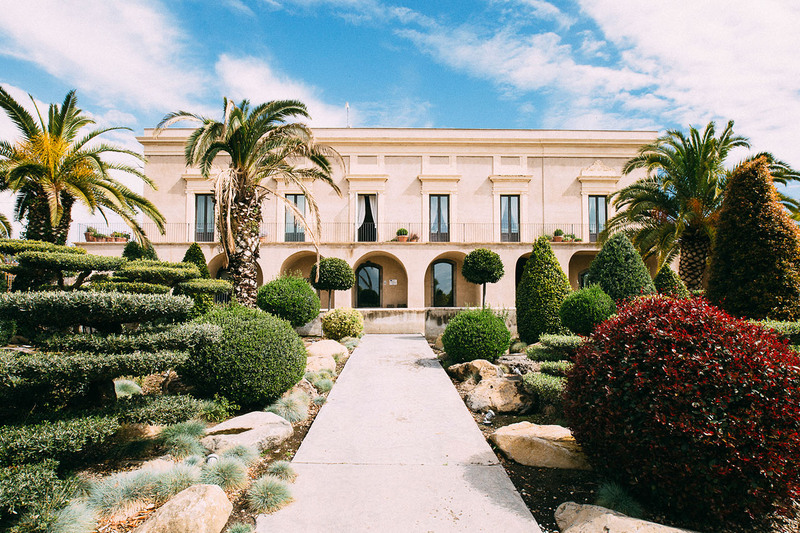 Live your experience as a volunteer at Radicepura Garden Festival 2019, a biennial Mediterranean garden. Plant a small seed, make a big contribution, make your experience grow!